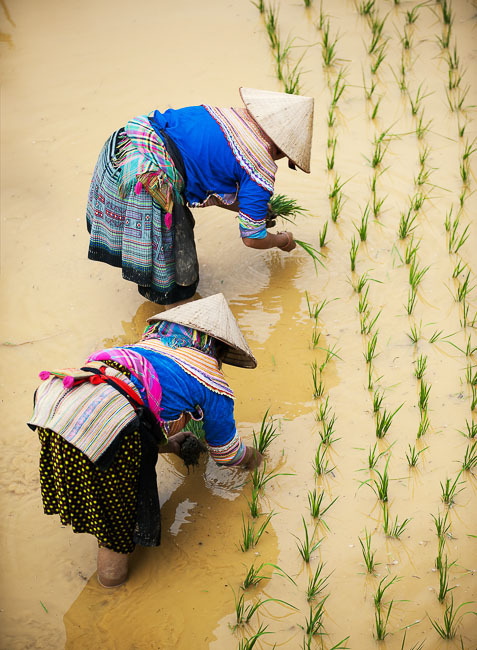 Indigenous Hmong women plant rice shoots in the far north of Viet Nam. Two of the Hmong language communities, totalling approximately two million speakers, have recently had Scriptures published. However, access to these precious books is another matter. Throughout Southeast Asia adult literacy activities are beginning to complement children’s literacy activities in several language groups. In these programs where both parents and children are involved, they are stimulating, supporting and reinforcing each other in literacy. Pray for national trainers and local literacy workers as they develop and implement these programs. View more prayer requests from Asia.